Work Design Magazine is proud to support WORKTECH 15 Melbourne. The conference will take place on Wednesday, March 4 at the Deakin Edge theater in the Federation Square complex. Speakers will explore a variety of topics related to strategy, technology, and property and how they’ll affect the future of the workplace, and by extension, your business. Read more and register for the event here, and scroll down to get to know the all-star lineup of speakers. Tony heads up Occupier Consulting for CBRE Pacific. He has expertise in high-performance work through synergy between people, technology, and place. Tony will present on the ideas, trends, and behaviors that will shape work and workplace in 2030 and are already perceptible today. CBRE has conducted a global study involving workplace experts, business leaders, and young professionals to gauge how these factors will impact business, evolve work practices, and continue to revolutionize how, when, and where work happens. Harald leads business strategy, research, and marketing for the Microsoft Envisioning team and is responsible for creating and executing programs to scale the future vision offerings broadly across the company and partner ecosystem. He is a frequent presenter at Microsoft’s Executive Briefing Center on the topics of innovation and the future vision of productivity. Prior to his role on the Envisioning team, Harald was a Marketing Manager at Microsoft’s New York office, responsible for marketing strategy, planning, and campaign execution. Michael Bleby writes about emerging markets, architecture, and engineering. He has served as a correspondent in Tokyo, Londons and Johannesburg and has written for Reuters, the Financial Times, The Age, and The Sydney Morning Herald. Kylie was appointed Executive General Manager, People & Culture in July 2013 and is responsible for leading the key people functions across Medibank. Kylie was responsible for overseeing the recent consolidation of premises in Melbourne. Kylie is leading the business in its activity-based work transformation program. Kylie is a registered Psychologist and formerly held the position of General Manager of Culture, Capability and Communications at Medibank. Prior to joining Medibank in 2010, Kylie held senior global positions with National Australia Bank and also led a number of human resources consulting practices. Jeremy leads partnership development and product delivery for Sociometric Solutions. In this role, he has helped numerous clients build their people analytics capabilities and strategy. Matching SSI’s unique sensor-based platform to client challenges allows users to understand how their teams work together, and thereby support their drive for productivity. Prior to this role Jeremy worked on building businesses and new ventures from enterprise software to pharmaceuticals. Jeremy received an MBA from Babson College, and studied his Bachelor of Science in Economics from the University of Louisville. David is head of the physical activity laboratory at the Baker IDI Heart and Diabetes Institute in Melbourne and is an NHMRC senior research fellow. He is an adjunct professor in the School of Sports Science, Exercise and Health at the University of Western Australia, an adjunct associate professor in the School of Population Health at the University of Queensland, an adjunct associate professor in the School of Exercise and Nutrition Sciences at Deakin University, and an adjunct lecturer in the Department of Epidemiology and Preventative Medicine at Monash University. His research focuses on the role of physical activity and sedentary behavior in the prevention and management of chronic diseases. Dermot founded Studio TILT with Oliver Marlow in 2008 after developing the coworking concept within The Hub network. The Hub is a global network of coworking spaces providing startup social entrepreneurs and innovators with a place to work, connect and scale their ideas. It has attracted over 500 members and has supported the development of over 150 new ventures. Originally from Ireland, Dermot has a Master’s in Social and Organisational Psychology from the London School of Economics, which has particularly influenced his direction and development of Studio TILT’s methodology of the design process. David believes that change occurs when different, more authentic, more powerful conversations – with ourselves and others – are encouraged and released. He is a passionate advocate of ways of deepening engagement around what matters and opening up authentic communication. For the last 21 years David has been a coach and a consultant in progressive organization development for some of the most ambitious and purposeful companies in the world, including the International Olympic Committee, Amnesty International, and Unilever. David is also the author of books that help people be more intentional around the lives they are living, including Human 2.0: The Upgrade is Available. Jay is part of the PwC Australia’s Strategic Projects and Change Group and is responsible for the firm’s corporate real estate portfolio across Australia and PNG. This involves Jay determining the accommodation needs of the firm and conducting site selection, lease negotiation, fit-out design and construction, as needed. Since joining PwC, Jay has worked in various roles including providing financial advice to clients and evaluating, establishing, integrating, and managing various internal shared services support functions nationally. Currently, Jay is focused on defining and establishing new work places for PwC in Sydney, Melbourne, and Brisbane. Oliver Marlow is a multi-platform designer, with a unique skill-set as a designer, craftsman, academic, and facilitator, working on all levels of the design process. Oliver founded Studio TILT with Dermot Egan in 2010 after they worked together at The Impact Hub, where Oliver was head of design. There he led the design process for over 25 coworking spaces all over the world. As a leading expert on the design of collaborative spaces, and the relationship between space and creativity, Oliver regularly leads keynote forums and runs workshops all over the world. Caroline is a co-founder and principal at CoActiv8, an organization that sets up and operates Work Hubs. CoActiv8 projects include NAB’s The Village and GPT’s Space&Co. Caroline speaks and writes on the topic of Liberated Work. Previously, Caroline worked in marketing and management consulting with the likes of Yahoo! and Bain & Company. Mark joined Lend Lease in 2005 and was appointed to the role of Investment Manager, APPF Commercial in 2009. APPF Commercial is a Lend Lease managed fund with ownership interests in 16 predominantly A and Premium grade assets with a combined value of nearly $2 billion. Mark is responsible for the investment management of assets in Sydney, Brisbane, Adelaide, and Canberra. Recently, Mark has overseen the refurbishment and repositioning of 1 O’Connell Street, Sydney, including introduction of The Porter to the ground floor lobby. Based in the company’s regional headquarters in Shanghai, Frank oversees Haworth’s operations throughout the growth markets. His focus is on developing new business models that support the co-creation of organic spaces designed to adapt as client needs evolve. Frank’s experience spans multiple industries with senior leadership roles in North America, Europe, Asia Pacific, and Latin America based in Los Angeles, Paris, Hong Kong, and Sydney. 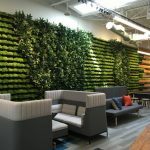 With a deep understanding of the importance of space and its impact on how we work, live, feel, and relate, Kelly creates environments built on three principles: health, wellness, and meaningful interaction. In her work designing the global headquarters for tech stars Airbnb, SoundCloud, and Couchsurfing, Kelly has found the secret to a great office vibe is not only in its design, but also in the connection between the space and those who work in it. Her unconventional background — which includes stints as an economist, international traveler, yacht stewardess, and yoga teacher — allows Kelly to bring a fresh and dynamic perspective to designing spaces where people feel energized and empowered to do the best work of their lives. Appointed Mirvac Group Executive, Commercial Development, in March 2013, David brought with him more than 30 years of experience in property, construction, design, and development. He has led the expansion of Mirvac’s end-to-end capability to deliver workplace solutions that focus on people and place with a unique understanding of future city requirements. David is responsible for overseeing Mirvac’s $1.5 million commercial development pipeline that includes 200 George Street and 55 Pitt Street in Sydney, 699 Bourke Street, 664 Collins Street, 477 Collins Street, and Riverside Quay in Melbourne, and the Old Treasury Building in Perth and Perth City Link. John has worked with Telstra for 28 years in a variety of technology and executive management roles. These have included engineering and operational roles in telecommunications, wireless, IT and property. Some of the key achievements in this role include the major rollouts of Telstra’s & CSL’s Hong Kong 3G and 4G wireless networks. Currently John leads the Telstra Property division, accountable for the management of Telstra’s owned and leased property portfolio including energy management, leasing construction, and maintenance. Philip is an author, consultant, and commentator specializing in the future of work. He predicts the way that new trends and forces such as emerging technology will shape how we work, live, learn, and enjoy leisure. He has written a number of books on the future of cities, work and workplace including The Creative Office, The 21st Century Office and Space to Work (all co-authored with Jeremy Myerson). He has also contributed to a number of other books including The Corporate Fool and The Responsible Workplace. Geoff is currently the head of group facilities for BHP Billiton. Geoff has 20 years of experience in Corporate Real Estate globally having worked in Australia, New Zealand, Asia, South America, Europe, the Middle East, and Africa across multiple industry sectors, including finance, ,ining, Private and Government. Geoff was most recently responsible for the delivery of BHP Billiton’s Global Head Office relocation at 171 Collins Street which has been an enormous success for the organization and was recently awarded a 5 Star Award at the Asia Pacific Property Awards and the prestigious Regional Award to represent the Asia Pacific region in the 2014 International Property Awards in Dubai. 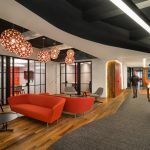 Max plays a pivotal role in the company’s capacity to lead clients through the entire process of workplace change from design thinking to construction and completion. Adopting a whole of life approach to working with tenants, Max’s focus is upon being the liaison able to work with the client, external change consultants, architects, and the Mirvac design, development, and construction teams to deliver workplace solutions. Mirvac’s unique end to end capability and understanding of the processes involved in workplace change present clients with a streamlined approach that allows change to occur with minimum business disruption while achieving short and long term business goals. And here's what we found out. Upload your photos for a chance to be featured on our site. I am looking for the dates for the next WorkTech Conference and the dates for call for presentation.